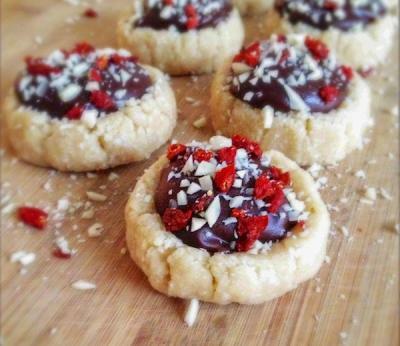 It turns out you don't have to give up all of your favorite baked goods on a raw vegan diet. Don't believe us? Try these featured recipes! Looking for a healthy candy recipe that is vegan, gluten-free ánd sugar-free? These No-Bake Coconut Macaroon Nests with Chocolate Eggs taste just like ‘Bounty’ chocolate bars. They’re sweet, chewy and a fabulous source of healthy fats = perfect to boost your fat-burning metabolism and beat sugar cravings. Always have a batch in your freezer so you're never without a healthy sweet treat!